Lot's of work happening in the studio! This week end was great. 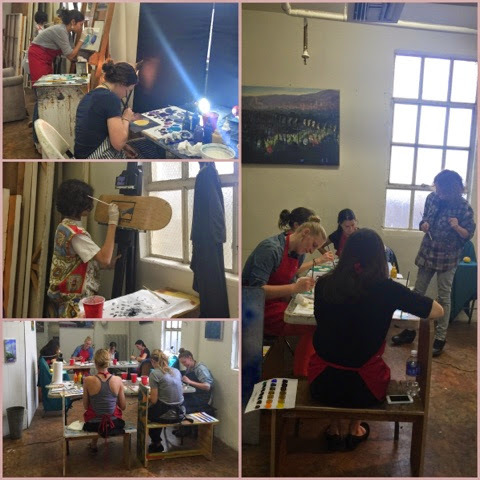 Busy classes from Friday to Sunday! There's a great group of dedicated students who come here plus a whole bunch who come just for the Intro class. I'm starting to think of summer. Will have some classes on the calendar in March- life drawing intensive and kids classes.